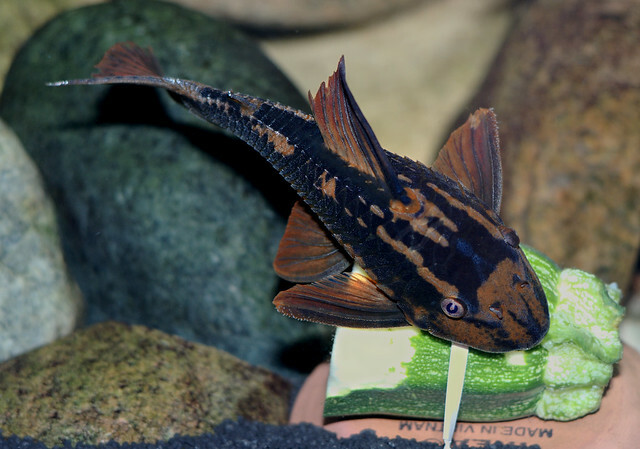 Hypostomus cochliodon is one of the more interesting plecos that I have kept as it is a diurnal wood eater. 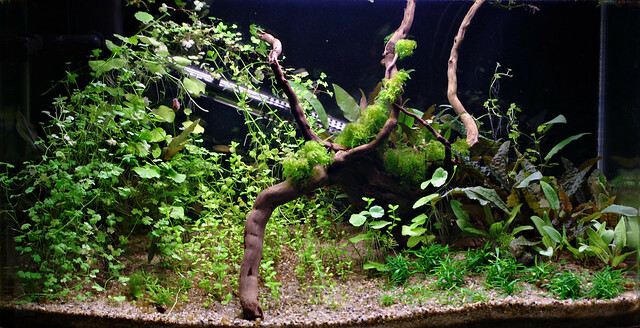 My fish is currently around 128 mm SL (170 mm TL) as measured today. I’ve been meaning to measure it for a while as it would be interesting to know if it ever reaches the 230 mm as reported by Webber (2003), or remains at the 7 inch mark, as the original paratypes mentioned by Kner. The fish feeds well on courgette and wood, but takes no interest in dry pellets. I was quite surprised that the fish had no Wikipedia article… it has one now! Kner, Rudolf (1854). “Die Hypostomiden. Zweite Hauptgruppe der Familie der Panzerfische. (Loricata vel Goniodontes)“. Denkschriften der Mathematisch-Naturwissenschaftlichen Classe der Kaiserlichen Akademie der Wissenschaften in Wien 7: 265-267 (15-17). Retrieved 6 November 2011.